EVE Vegas 2018 Alliance Attendance Trophy! EVE Vegas is now less than a month away and the count that will decide who takes the next name plate on the Alliance Attendance Trophy is starting to become a little more clear. 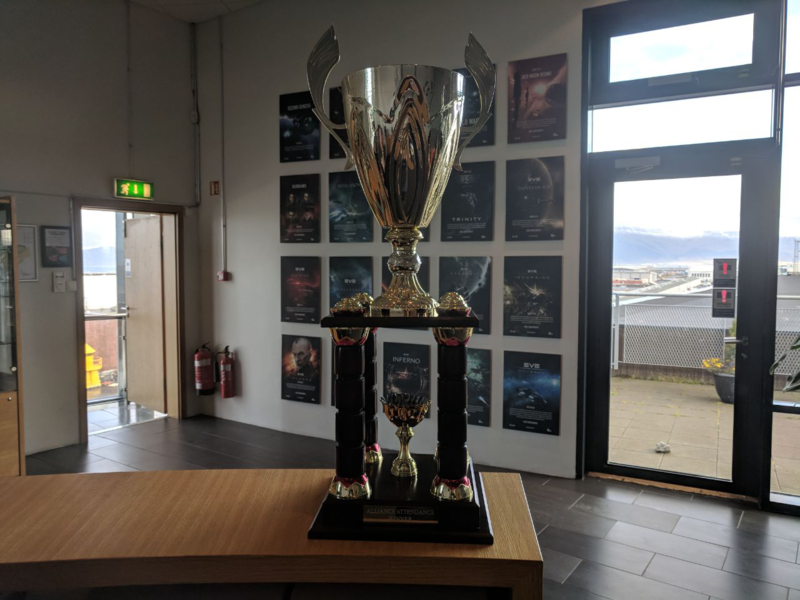 For Fanfest 2018, the winners were GoonSwarm Federation, and at this stage, it looks like Test Alliance will join them on the trophy for EVE Vegas 2018. Here's the count so far, including all alliances that have more than 10 attendees registered in EventBrite. Please be aware that in order to be counted, if you haven't already declared your alliance, you'll need to do so in EventBrite. You can do so by logging in and updating your information on your EVE Vegas 2018 order. Coalitions don't count. If you've put "Imperium" or "Panfam" as your alliance, it will not be counted you'll need to update with the full name of your specific alliance. If you haven't already noted down your alliance, be sure to do so! Here's the trophy in all it's glory - we're looking forward to seeing who ends up on the next name plate!